You dream of being a successful writer. But instead you’re stuck with freelance work writing for content mills and clients who pay you $20 or less per post. Deep down, you know it’s time to drop these low-paying clients and find better-paying freelance work, but the thought terrifies you. Isn’t it risky to just let your clients go? What if no one will pay your higher rates for freelance work? If you’re struggling to keep up with deadlines and the volume or freelance work for low-paying clients, where are you going to find the time for marketing to get better ones? I understand where you’re coming from. I was in this very situation less than six months ago. And then I did something that felt a little crazy and scary. I gave most of my clients a swift kick. What would happen if you let all your clients go tomorrow? Terrified of charging higher freelance rates, even though you know you’re worth it? If quoting big is outside your comfort zone, I get it. It seemed too risky. What if you lose the gig? In my family, income from my freelancing is pretty important. We depend on it being there every month, so I’m not in a position to take huge unnecessary risks. A lost gig equals lost income (and lost income doesn’t pay the mortgage). But at some point, you’re bound to reach a tipping point. 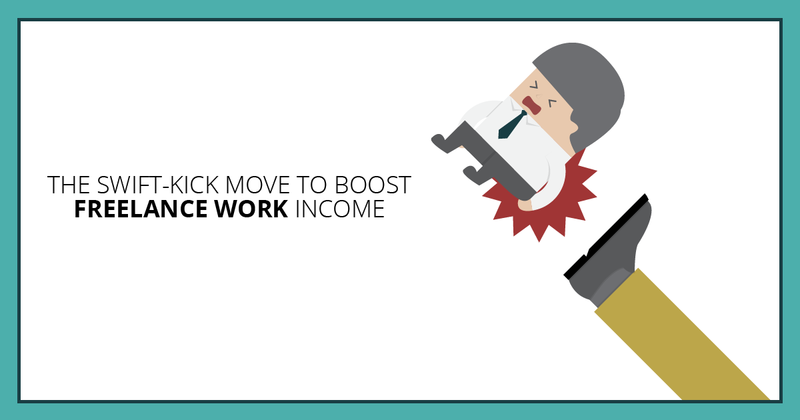 You might be terrified of the outcome, but you’re finally willing to take the risk to find out if you can command higher freelance rates. I reached a tipping point like that earlier this year, and something pretty crazy happened. Ever wonder what the formula is for earning higher freelance writing rates? It’s easy to think it’s some secret list of ingredients you can only get with years of experience, fancy degrees, or an incredible network of connections. But if you’re just starting out, that’s seems about as realistic as finding a pot of gold or a magic potion to turn back the clock so you can start over. It can get frustrating. Spend too much time simmering like that, and it creates a chemical reaction of self-doubt and negative thinking that can taint your freelance writing efforts. Fortunately, there’s a simple formula you can follow to boost your freelance writing rates (mine jumped by 900 percent). Want the formula to grow your freelance writing business? Note: Ever wonder how to find the best freelance jobs? I know I did. But it’s not as hard to find them as you might think. 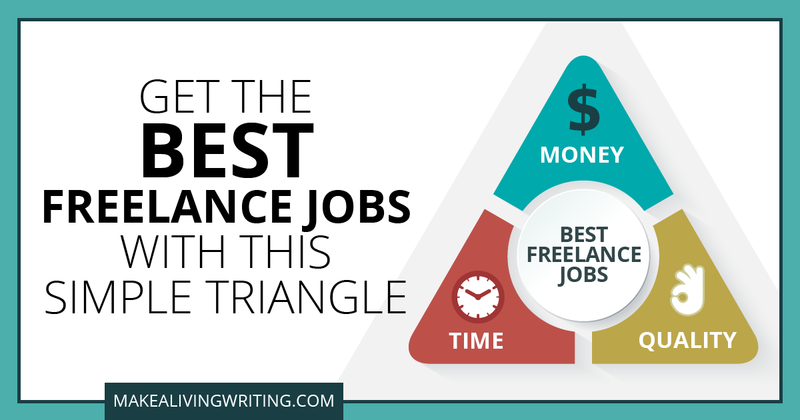 When you understand the classic business concept I wrote about in this post five years ago, you’ll know how to score the best freelance jobs based on three simple things. —Carol. When I was in my late teens, I had the good fortune to blunder onto a concept that would help me become a well-paid freelance writer later on. I was working as a secretary at MGM studios in Culver City, Calif. My boss asked me to take something over to the editing room of one of the productions. Inside the edit booth, amongst the strips of film, sheafs of notations and other production clutter, was an aged, coffee-stained, clearly much-xeroxed flier. It was hanging from a nail and blowing a bit in the air-conditioned indoor breeze, which probably helped catch my eye. If you want to earn more as a freelancer, you need to sharpen your negotiation techniques. Seriously. When a prospective client makes you an offer, your ability to negotiate the scope of work and your fee can pay off off in two important ways. First, negotiation techniques can help boost your cash flow. Second, and more significantly, negotiation techniques can help you establish a higher rate for each subsequent piece you write for a client. Let me share an example with you that went particularly well. I’d been wooing a potential content marketing client in one of my niche areas. We discussed a project on the phone for a while, and then the editor made me a low-ball offer of $300 per piece. Based on the time it would take me to deliver what we’d discussed, I knew I wouldn’t be able to do the work quickly enough for it to be worth my while. I wanted to work with this client, so I countered the offer by using a couple of key negotiation techniques. The result: I managed to get a contract for $750 per piece — more than double the initial offer.